This is some yummy stuff for lunch or dinner!! Jengkol/Jering is similar to Petai ( stinky beans ), I personally love Jengkol, it taste and texture is unique and when you fall in love with this stinky but yummy stuff, you'll know what im talking about. *lol i think i prefers to eat Jengkol Rendang then Beef Rendang, seriously Jengkol taste better than beef! Its quite hard to find Jengkol out of Indonesia. If you see them, they might be a little costly. 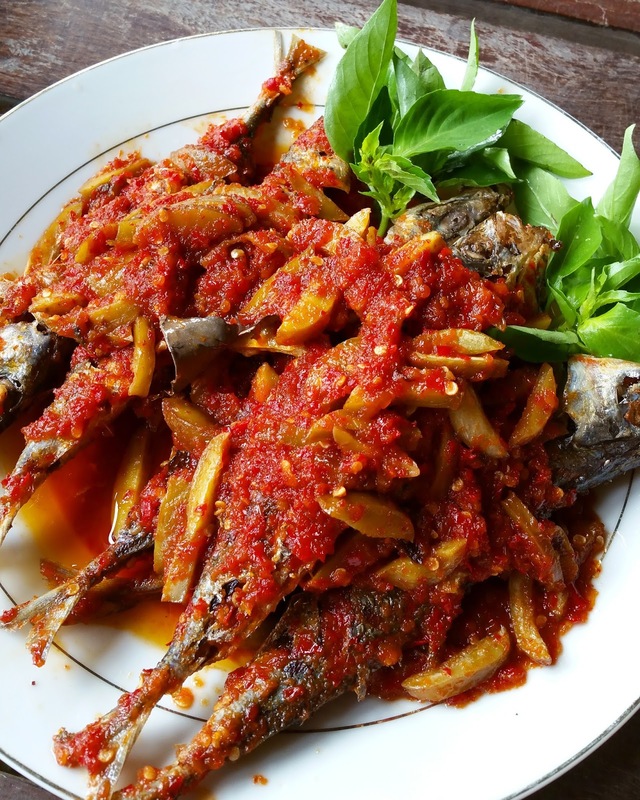 So at this point of time, i think i'm lucky while staying in Indonesia which i could find Jengkol all year round. 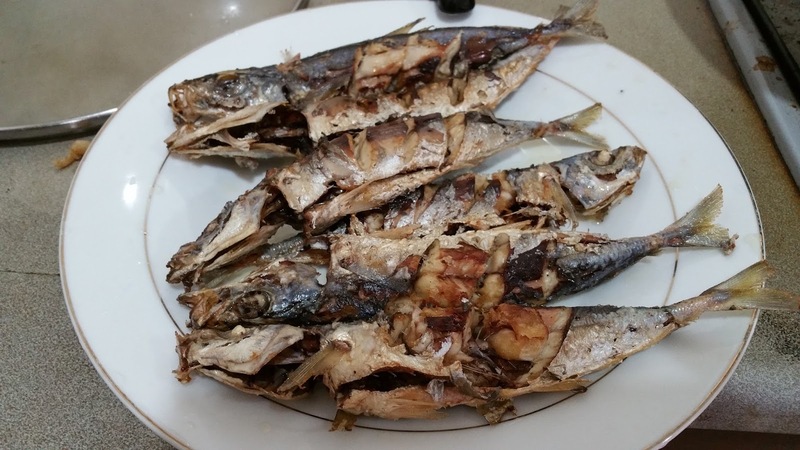 * Clean Fish and marinate with salt set aside. * Boiled Jengkol in hot water over pot for 30 minutes or until a layer of skin removed from Jengkol seeds. Dish up. Discard Jengkol skins, if there are any still attached to the seeds, slowly remove with knife. Cut Jengkol into smaller pieces. set aside. * To cook Crispy Fish - Heat wok, add 2-3 cups of cooking oil to deepfried fish until crispy set aside. * To cook Sambal Jengkol Belado - Heat wok, deepfried jengkol for around 10 minutes. Dish up. * In a separate wok, add 5tbsp cooking oil. Add in blended sambal ingredients except for tomato. 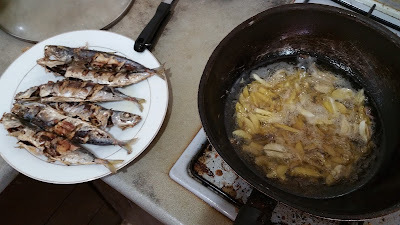 Into hot oil and sauteed until aromatic, add in daun salam and season to taste. Let it simmer cook until oil surface, taste and add in blended tomato mix well, cook for few minutes and continue add in Jengkol stir and mix well to combine. * Add 1/2 cup - 1cup water to Jengkol, closed lid. Let it simmer further until Jengkol is well cook and sauce become almost dry, taste and season mix well and dish up. 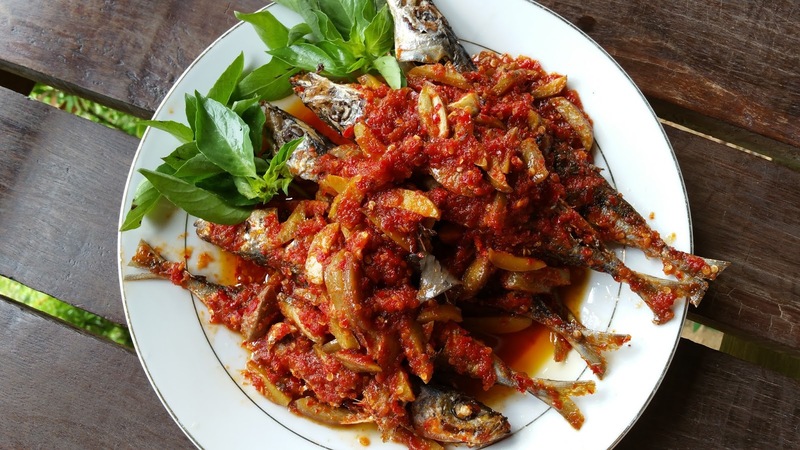 * Pour Sambal Jengkol Belado on crispy fish. 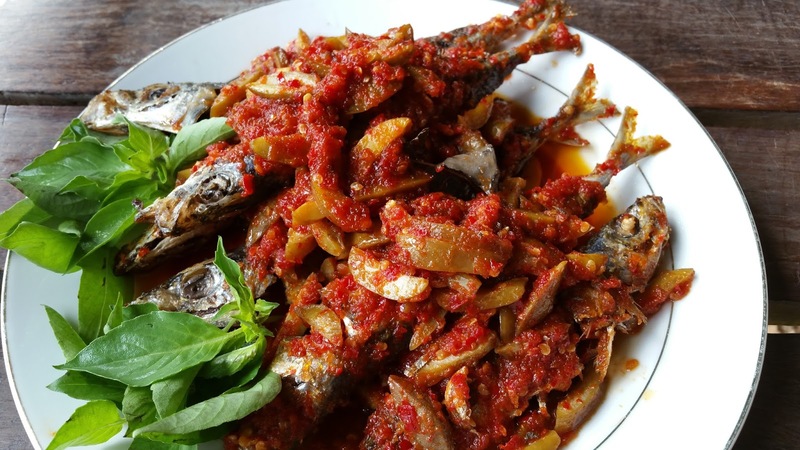 * Served hot with warm rice.